Notable for his appearances with International Pro Wrestling, WWE NXT, the Frontier Wrestling Alliance, and Insane Championship Wrestling, he won a Best of British Wrestling championship; two One Pro Wrestling championships; one Real Quality Wrestling Heavyweight Championship; and three International Pro Wrestling: United Kingdom championships. In the early 2000s, he trained at both the Dropkixx Academy and the Frontier Wrestling Alliance Academy. His signature wrestling moves include the "London Bridge," the "Lariat," and the "Lou Thesz Press." Born Martin Harris, he later adopted the ring names of Joe Riot, Danny Burch, and finally Martin Stone. 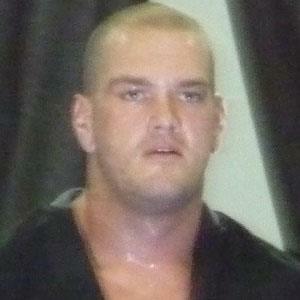 In 2013, he lost to American wrestler Bray Wyatt in a televised match for NXT Wrestling.